Target Liberty: Paging Water Block: Rand Paul and Barbara Boxer Announce the 'Invest in Transportation Act"
Paging Water Block: Rand Paul and Barbara Boxer Announce the 'Invest in Transportation Act"
Rand Paul just took three steps in the direction away from libertarianism. Along with Barbara Boxer, he today announced that they will be introducing the "Invest in Transportation Act of 2015. "This bipartisan legislation would extend the Highway Trust Fund. Got that? No new taxes, but more revenue. Just how would you pull that off? Well you can't. What is really going on is that Rand would like to set a tax low enough that multi-nationals bring their money back into the United States. It is not zero tax. It is a tax that would actually result in generating more revenue for the government. All tax revenues from the repatriation program would be transferred into the Highway Trust Fund, helping to address the urgent federal funding crisis facing America’s highways, bridges, and transit systems. The authorization for surface transportation programs will expire on May 31st and the Highway Trust Fund is projected to face insolvency shortly after that. If Congress does not provide additional revenue to the Highway Trust Fund before that time, states will face cash-flow problems during the extremely busy summer construction season. Already Arkansas and Tennessee have delayed or canceled construction projects due to the uncertainty in federal transportation funding. In other words, without this Act. the government might actually shrink a bit. Passage of the Paul-Boxer Act will prevent this from occurring. Again, a direction opposite from the direction a libertarian would take. A libertarian wants to shrink, shrink and shrink government, always and everywhere, not find new revenue sources so that state projects can be kept alive. But Walter Block has shown in The Privatization of Roads and Highways: Human and Economic Factors that there is no need for government to be involved in roads and highways to have a smoothly functioning road and highway system. Indeed, Block makes a sound argument that government involvement in the sector makes the system much more dangerous in terms of likely bodily injuries. 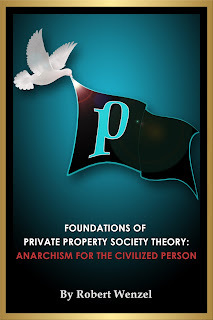 [The book] is bold, innovative, radical, compelling, and shows how free-market economic theory is the clarifying lens through which to see the failures of the state and see the alternative that is consistent with human liberty. He shows that even the worst, off-the-cuff scenario of life under private ownership of roads would be fantastic by comparison to the existing reality of government-ownership of roads, which is awful in ways we don't entirely realize until Block fully explains it (think: highway deaths). But that is only the beginning of what Professor Block has done. He has made a lengthy, detailed, and positive case that the privatization of roads would be socially optimal in every way. It would save lives, curtail pollution, save us (as individuals!) money, save us massive time, introduce accountability, and make transportation a pleasure instead of a huge pain in the neck. Because this is the first-ever complete book on this topic, the length and detail are absolutely necessary. He shows that this is not some libertarian pipe dream but the most practical application of free-market logic. Bottom line: Rand's introduction of the "Invest in Transportation Act of 2015" is a major multi-car pile up from a libertarian perspective. 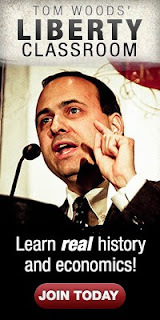 Robert Wenzel is Editor & Publisher at EconomicPolicyJournal.com and at Target Liberty. He is also author of The Fed Flunks: My Speech at the New York Federal Reserve Bank. Follow him on twitter:@wenzeleconomics. The corporate income tax should be reduced to zero. That is the most logical tax rate as corporations don't pay taxes, people do in the form of reduced wages and lower cap. gains and dividends It is an inefficient way to collect taxes . But that isn't going to happen politically. The tax rate now is keeping capital reinvestment from taking place in the United States. Robert agrees with this. A low, permanent repatriation rate is politically feasible. And it is not a new tax. It is a tax reduction from 39% to 6%. Right now, companies have no incentive to bring money back to the US. Walter Block, Robert Wenzel, and Milton Friedman all have at least one thing in common that they are all wrong about. They all make statements like this one Robert made "....not find new revenue sources so that state projects can be kept alive." Increasing taxes or adding new revenue sources like a repatriation tax do not perpetuate spending. In fact, the opposite is true. Reducing taxes actually is more likely to result in increased spending and grow the state. Every time Robert talks about cutting taxes without an immediate offsetting spending cut, he is in reality arguing for more government. I can feel the waves of Rand's libertarianess washing over us like waves of freedom even before he's even been elected!